One of the hottest trends we’re seeing and working with our customers on is smart home lighting. We’re happy to say aspectLED fixtures have been tested and used extensively in smart home systems to be able to turn on, off, and dim your lights with a remote control, voice, or from your phone or tablet even when you’re out of your house. Caseta In-wall ELV+ dimmer (PD-5NE). It’s important that you choose the ELV+ model - despite the regular PD-6WCL model being stated by Lutron as compatible with LED bulbs, without ELV technology, it won’t have optimal dimming performance with aspectLED products. Caseta Smart Bridge. 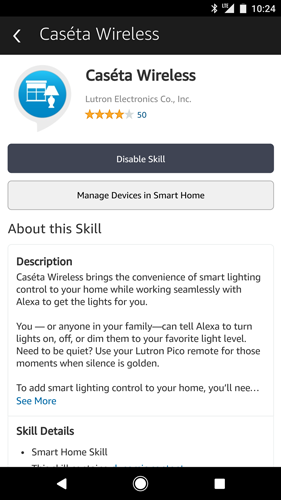 This product connects your dimmer to the internet, allowing you to control them via your phone, Amazon Echo/Alexa, Google Home, or Apple HomeKit. Optional for voice control: Google Home, or Amazon Echo/Echo Dot. Wire and install your aspectLED LED fixtures. We have installation guides for all of our fixtures available here or on the product’s store page. Wire and install your Caseta dimmer according to the installation guide in its package. If you’ve installed and wired everything correctly, the top button should make your lights come on, the bottom button should turn them off, and the two arrows should dim your light. In our testing, lights should dim smoothly all the way down to the default lowest setting on the dimmer. If you experience any flickering or the light turns off when dimmed too low, you can adjust the low end trim at casetawireless.com/lowend. To set your “favorite” level, simply turn your lights to your desired “favorite” level, then press and hold the middle circle “favorite” button for 6 seconds. It should now be saved. To pair optional Pico remotes, press and hold the bottom “off” button for 6 seconds until the green indicator lights on the dimmer start blinking, then do the same procedure on the remote. Repeat for additional remotes. Connect the Smart Bridge to power and Ethernet using the included adapters. Note: the Smart Bridge needs to be connected to the same network as your mobile device for setup. Go on your Android or iOS smartphone or tablet and download the Lutron app. Follow on-screen setup. You’ll need to make an account. Then, once the app locates your Smart Bridge, you’ll press the small + button on the back of the Smart Bridge. Your Smart Bridge should be paired. 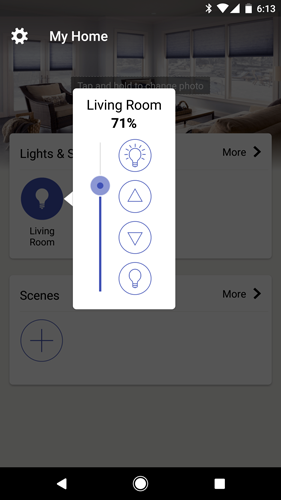 Connect dimmers to your Smart Bridge by going to “Add Device” in the Lutron app, selecting “In-wall Dimmer” and then pressing and holding the bottom “off” button on the dimmer until the lights begin to flash rapidly. 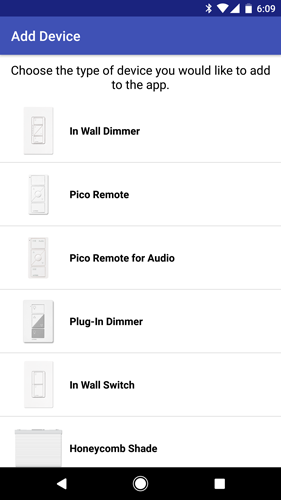 Finish setup and naming from the app, repeat for other dimmers, and you should be able to control the dimmer from your phone. Make sure your Smart Bridge is set up. 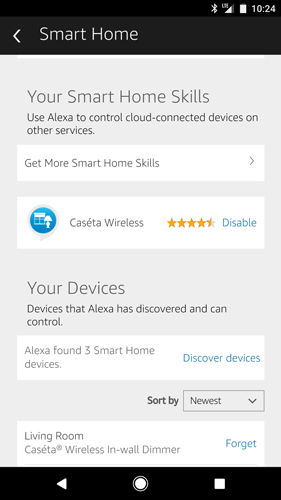 Set up your Amazon Echo with the Alexa app. 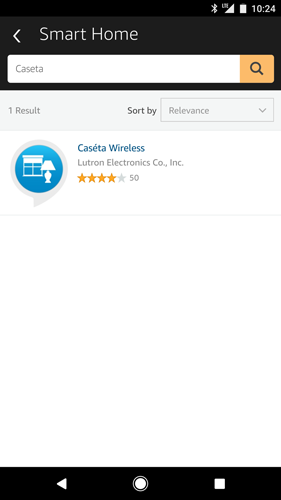 Search for Caseta Wireless, activate it, and log in with the username and password you made when you set up your Caseta Smart Bridge. Tap Discover Devices. You should see your dimmer(s) show up in the Smart Home section of the app. You should be all set! Note the name you gave each dimmer. If you set the name to living room, for example, you can now say “Alexa, dim my living room to 20%” and your lights should respond. In the Lutron app, go to the menu and tap Siri Integration. You’ll need to be connected to your home WiFi network. Follow the prompts. It will ask for the HomeKit setup code printed on the bottom of your Smart Bridge. That’s it! You should be able to open Siri and say "turn off my living room lights."